1. 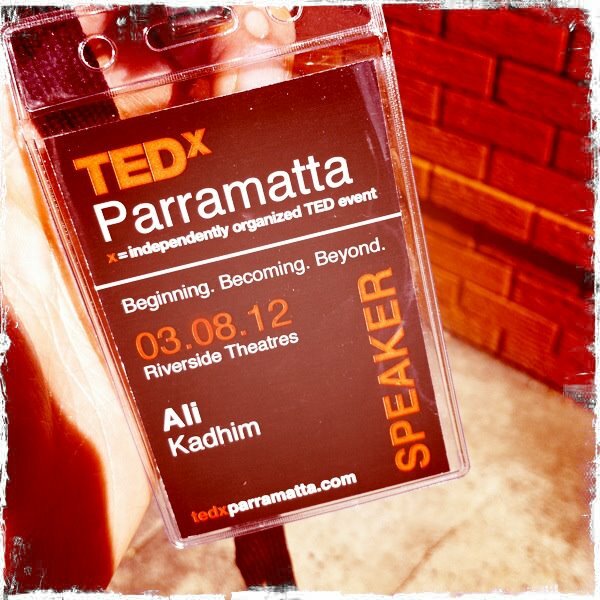 It’s from a TED organised event in Sydney’s city of Parramatta that happened last month on Friday, August 3rd. I’ve always been a fan of the talks that TED post online, but for the uninitiated, here’s a little spiel of what they do. “TED is a nonprofit devoted to Ideas Worth Spreading. It started out (in 1984) as a conference bringing together people from three worlds: Technology, Entertainment, Design.” Their mission? To spread ideas. 2. The speaker is an old friend of mine. A guy I went to high-school with. His name is Ali Kadhim. After watching this video I can tell you that I was completely inspired by Kadhim’s words. And as it turns out, I wasn’t the only one. As I was not able to be in the audience on the day of the event (due to my 9-5), I heard nothing but super duper positive feedback of his talk – most saying that his was the highlight of the entire event! You have no idea how proud I am to know this individual. To have attended high-school together and still remain friends today, makes me so thankful for the handful of friends that I kept close after high-school concluded. One of them being Ali. Kadhim started Parkour back in high-school and at first I didn’t understand it, but the more I saw, and more specifically after watching his TEDxParramatta speech, I was not only inspired, but also motivated to keep going with this creative direction that I am heading in. While I, personally, would probably never attempt the art of Parkour, there are a couple of things that I’ve learnt from Ali over the years (and it was reinforced once again in this video) that I have taken upon myself and will continue to apply to all the adventures I intend to go on: to be fearless and to see obstacles as opportunities. I, too, have faced many obstacles since I decided to take my love of writing and turn it into something more. [Case in point: The 5 to 9 Life.] But honestly, if you love it, if it makes you happy, and you have the passion and commitment to keep it going, then just keep going and prove to all those people that said “you can’t” wrong. That should be motivation in itself: to prove others wrong. Ali Kadhim is not only an inspirational and motivational speaker, but he is also an inspirational and motivational friend. 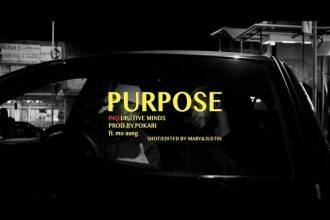 He has a unique ability to inspire through the creative expressions of Parkour and fimmaking, not only by telling stories, but also by connecting the audience through his love for both forms of art. One day, I hope to do the same with my love of the written word. I hope he inspires you as much as he has inspired me. Much love.